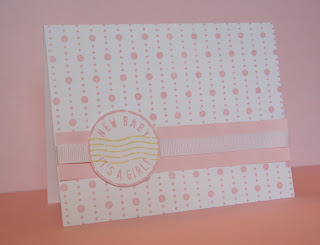 So many friends of mine have had babies recently, so at my last card workshop, we made some baby cards. The design is very simple. 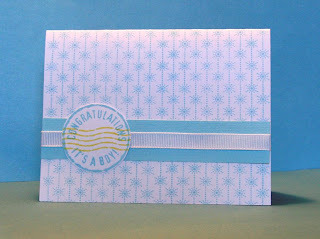 It was a little tricky getting the background stamp to match up just right, but with a couple of tries, everyone got it.